Sharing "best practices" for school librarians in WSWHE BOCES. Developing or revising Materials & Selection Policies, to include Challenges and Weeding policies. A variety of links to help in writing policies. Guide for writing/modifying and following a quality selection policy. Includes information and sample language for "reconsideration" (challenged materials). 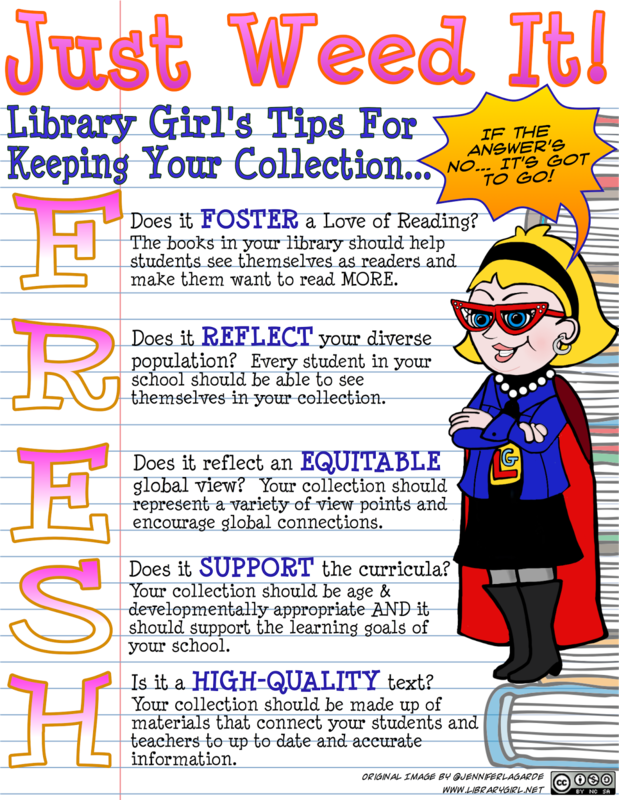 Resources for School Librarians is a website developed and maintained by Linda Bertland, retired school librarian. The School Library Media Specialist - the website for all things School Library from Annette Lamb and Larry Johnson. Jennifer LaGarde is always thinking about the "big" picture - the list of questions to ask is very helpful. 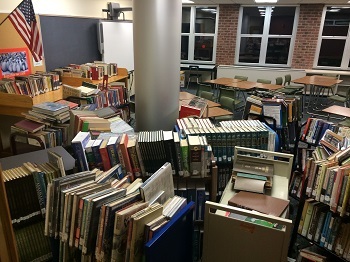 Lengthy but thorough document on all things school library. Links and samples of collection development policies and "how to's"
Presentation from our workshop on 4/13/2016. The 2012 update of the CREW Method of Weeding for Modern Librarians covers everything from the "why" to "how" of deselecting materials. Includes a section on eBooks. 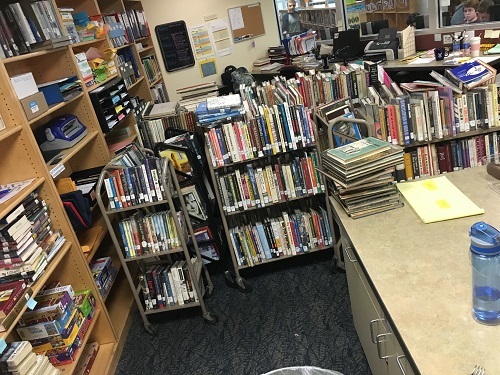 The chapter on weeding from Managing and Analyzing Your Collection: A Practical Guide for Small Libraries and School Media Centers by Carol A. Doll and Pamela Petrick Barron. After reading longer documents, have a checklist handy as you're working on weeding. You may want to modify the checklist for your needs.